This beautiful 14K white gold. 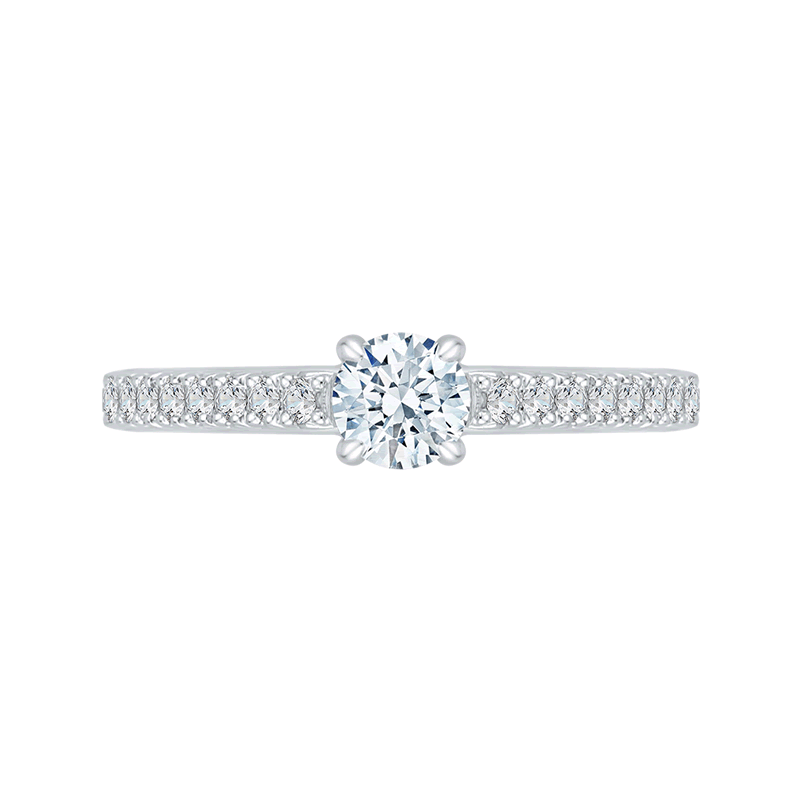 Diamond Promezza semi-mount Engagement Ring has approximately .33cttw. The head is designe for a round center stone, which is sold separately.